It Works MLM Review – Does It Really Work? You are here: Home / MLM Reviews / It Works MLM Review – Does It Really Work? It Works is an MLM that has been buzzing on social media sites like Facebook and Instagram with their weird product – a wrap for your midsection that is supposed to leave you more firm and toned. Is it worth joining this MLM? Can you make big money and how is It Works different from other MLM companies? Is it just another pyramid scheme? Lots of questions to be answered and I’ve looked into it enough to help you decide if it’s all worth it. It Works was formed in 2001 by Mark Pentecost, a Michigan school teacher and basketball coach who had previously found success in another MLM. He had just found what is now the company’s flagship product – The Ultimate Body Applicator – and wanted to share it with the world. Pentecost knew he had the perfect product for his new business venture when he first saw the Body Applicator being tested by his wife. The company has been steadily growing since 2001 but really blew up in recent years due to social media sites like Facebook and Instagram. In 2012, It Works! Global reached $100 million in sales and just two years later in 2014, they surpassed $500 million in sales. With such exponential growth, something has to be working. Who is making all of the money and can you get some of it? Let’s take a look at what’s involved. The following video by It Works explains how the opportunity is supposed to work. Distributors for It Works are called wrapreneurs. Wrapreneurs can get started selling It Works’ “crazy wrap thing” by purchasing a kit through an already active distributor. The Business Builders Kit usually costs $99 to get started but while I was simulating joining It Works, it seemed they were running a promo for June 24 – June 30 where you could join for $9.99. It Works would give you a replicate website so that you can recruit people by telling them about the opportunity. This usually costs $20 per month after the first month which is free. The Esuite gives you access to the It Works Training Academy, lets you place orders and allows you to track your team’s growth (see who you recruited etc). In addition to the Business Builder’s Kit, if you plan on doing a party or selling this thing right after you signed up, you can choose to add a Mini Booster Kit ($149) or a Party Booster Kit ($349) which would give you additional products that you could sell and make a profit from right away. Distributors also have the option of setting up a monthly autoship where you’d receive 2 Ultimate Body Applicators ($109). All distributors must make a minimum $80 purchase every month to stay active. As with all other MLM companies, you make money by selling the products and also recruiting persons to build a team of distributors. This way you make profit off the product and earn bonuses on the activity of your team. The compensation plan for It Works is, like most MLMs, a bit complicated to understand. Do they do this intentionally to confuse people? You can view the full 22 page compensation plan document here if you wish. Successfully process an 80 Bonus Volume auto-shipment during the calendar month. Let’s take a closer look at what they’re selling. The main product being sold through It Works is the Ultimate Body Applicator, what the company refers to as “that crazy wrap thing”. It’s a wrap that goes around the torso which is supposed to cause detoxification and works to firm, tighten and tone the area. A special gel is applied to the inside of the applicator for it to work and this is held in place with It Works branded wrap for up to 45 minutes. Before and after pictures posted all over Facebook show dramatic results yet there are also claims that persons aren’t seeing any significant difference after using the product. The distributor price for the body applicator is $59.00 and contains 4 applications. Distributors must sell this for $99 for a $40 profit. The gel carries a $30 profit margin costing $45 and retailing for $75. To me these seemed very overpriced. Then there is the question of whether or not they work as advertised. If they don’t work as advertised then it’s going to be very hard to sell to anyone who is purely a retail customer. Of course, distributors and those retail customers who end up joining It Works are going to continue to buy product so they could resell or as part of their autoship so that they stay active. If more transactions are happening inside the organization than to outside retailers then this could mean trouble. That pesky ‘p’ word MLM companies try to dodge might just be happening but we’ll take a look at this a bit later. What else does It Works sell? The health and wellness company also sells dietary supplements that they call Greens, skin care products, shakes, essential oils, branded apparel and accessories. However, the Ultimate Body Applicator, “that crazy wrap thing,” is really the star of the show and is what distributors are encouraged to sell. Does The Product Work At All? Having done a lot of research into diet and weight loss for a website that I owned, I know that no gimmicky product like a wrap can cause you to lose weight by itself. You need a combination of proper diet and lifestyle changes combined with regular exercise in order to cause the dramatic before and after scenarios that appear on numerous Facebook profiles ran by It Works distributors. Well they do tell you this in the fine print but the reality is that following a proper diet regimen with regular exercise is going to cause you to burn fat whether you use a wrap or not. So does the product actually work? Distributors are coached on what they can and cannot say about the product. They cannot make claims for weight loss but get around this by saying that the product tones and tightens. In this excellent article by Business Insider, they tried to get the It Works doctor to talk about the science behind the product but was told that he was unavailable. After several failed attempts which to me just looks bad on It Works, suspicious even, the BI team consulted an unaffiliated doctor about the claims. The doctor attributed the slimming effect to sweating and had this to say. Another doctor, Elizabeth Tanzi, also supported the water weight loss effect. So in my opinion these wraps to me are just a big scam being sold by people who know nothing about nutrition and how the body works. They don’t really work and the only people that are seeing these big results are the people selling them. From my research, it seems that the people who are just buying the wraps without getting involved in the business side of things aren’t so satisfied with the results or lack of results that they’re experiencing. However, I’m not here to review the product. My aim with this review is to see whether or not it is worth becoming a distributor for It Works. In order to determine this, I would still need to know if the main product is something distributors can stand by. Should You Join It Works as a Distributor? If It Works is not a pyramid scheme and you can make honest money selling their “crazy wrap thing” then I don’t see any problem with joining the company as a distributor. For me, the main product is nothing but a gimmick as it does not have any useful benefits except to give the user the false impression that they’re having a healthy experience. It seems as if retail customers are onto that gimmick as there are tonnes of negative reviews for the wrap. The only people excited about the wraps who are sharing positive reviews appear to be It Works distributors. Furthermore, there are numerous complaints about unfair business practices – customers being charged $50 to cancel their auto-shipment, billing after cancellation and poor customer service. Here’s one such review posted to PissedConsumer. “My “It Works” representative was a friend of mine, so luckily I didn’t have the problems that others have had regarding poor customer service, nasty payment surprises etc.However, without meaning any disrespect to my friend, I would warn others to beware of any company that ties you in so severely before you can leave. I should have been suspicious when I found out that you can’t just buy one product: you have to commit to 3, or pay a $50 fee. Whilst this is likely to be perfectly legal, morally it’s not how companies should operate if they want good customer relations. Also, the products are jaw-droppingly expensive even when “discounted”; I earn a decent salary & still struggled to keep up with the binding commitment to buy a product per month for 3 months. And in terms of quality, they are ok but certainly not value for money. Here’s another posted on their Better Business Bureau page. A $50 cancellation fee doesn’t even sound right. Committing to 3 months auto-shipment also doesn’t sound fair to consumers either. If the customer finds that the products aren’t working as claimed then they should be able to cancel and return the unused product without incurring any expense. Is there a pyramid scheme? Logically, it would seem that if there are problems selling the product and there is so much buzz about It Works distributors making money then it’s because there’s a lot more emphasis on recruitment. Also, the compensation plan seems to incentivize buying product so that distributors can qualify for commissions and bonuses. Distributors higher up in the rankings certainly rely on their downline’s group volume for earnings which certainly seems like distributors make up a bigger percentage of purchases than retail customers – a surefire red flag for a pyramid scheme. So should you become an It Works distributor? You have enough here to decide for yourself. You can also do the research just as I have done and make up your mind. I would never encourage anyone to join an MLM because I do not like the business model and how it is set up. There are far better opportunities available if you want to make money. One alternative is to become an affiliate marketer. Affiliate marketing is a more secure and stable business model than multilevel marketing. You have way more freedom because you aren’t tied to any one company and you can choose to do business with whoever you please. This means that you can choose the products you promote and you do not have to pressure people to be a part of any sales team. If It Works was sold through affiliate marketing, it would go something like this. It Works would give you access to promotional material such as affiliate links, banner ads, email copy etc. They go to the It Works website and buy the product. You would get an agreed upon sales commission. You continue to promote the product – nothing to buy, no product to stock and no monthly obligations. If it were this way then you could earn as much as you like by increasing your promotions and constantly working on your website. This is actually an easy to learn process and you can check out this primer course if you’re interested. Follow and implement the steps and you’d be on your way to building an internet business that will last for years and one that you can be proud of. Affiliate marketing is how I’ve been earning a full time living online since 2009 thanks to the help of Wealthy Affiliate, the website where the course can be found. 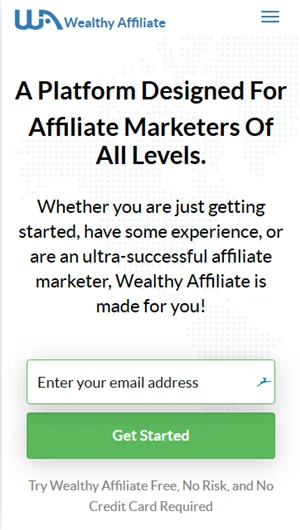 For a review of Wealthy Affiliate, go here to learn more. What are your thoughts on It Works? Let’s discuss it in the comments below whether you’re a current or former distributor, or someone is trying to get your into their team. 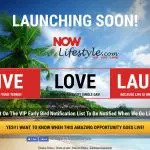 Is Now Lifestyle Another MLM Scam? You clearly missed the fact that this is a body contouring product. The wrap firms, tones and tightens the Skin. The skin, not the fat! It isnt a weight loss product. And the reviews you shared of “other people” their complaints should be about the distributor not telling them about the 3 month autoshipment or a $50 fee to be a customer. Which the fee is waived once the customer COMPLETES 3 months. If their 3rd order goes though and they try to cancel the next day it wont work because the 3rd month isnt over. And the other person saying they arent worth the money, why did you buy if you knew you were going to struggle financially to pay? You can tell your friend no. I have people all the time who want to try but dont cause of budget but its ok they keep drinking their daily amount of calories in carbs at Starbucks. They clearly want to change to a healthier lifestyle. Lastly. I tell every single customer about the 3 months or $50 fee because I make sure my customers have the best experience possible by staying in touch and helping them. Plus supplements and wraps dont do much for a person who isnt being healthier. There’s all this talk about how the Body Wraps are just a “temporary fix”. Let’s talk temporary, shall we? Nothing is permanent, and while our body wraps usually last 2-3 months (depending on the person, lifestyle, diet, etc), they have helped so many people not only feel better about themselves, but help them reach goals and get healthy where they might have needed that little extra something to get them there. Most of my clients using the wraps use them to help them get started on a healthier lifestyle. Because this is a lifestyle not just a “gimmick” and yes you can make big bucks at any level of the company. If the person works hard enough at it they will. Thanks for the feedback Amanda. It certainly sounds like you’re one of the ethical ones who is serious about business. If you look at the Facebook screenshot I posted with the before and after pics, that is how I found most of the It Works distributors promoting the company’s products online. To me that looks like weight loss in the photo and that doesn’t look like something body contouring or something that is meant to be temporary would do. This article is not to review the product however but in order for me to say whether the business is good or not so good, I had to touch on what distributors are selling and how they’re selling them. Doesn’t look so good. But with everything there are good distributors that follow the terms and then there are the others who do whatever they can to sell the products and sometimes those things can be a little shady. From the research that I did, based on the compensation plan and the way the product is sold with the 3 month autoship as well as the claims many distributors are making, I just cannot encourage anyone to be an It Works distributor. If it works for you then that’s cool. Get your money.